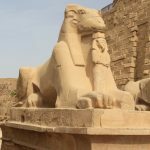 HOME OF MASTER MERLIN, YOUR ASCENSION TOOLKIT and NOW … EGYPT, January, 2020; Register now! Welcome to this portal of life-changing resources that can provide you with an amazing selection of services, tools and opportunities for healing and consciousness expansion on your path to Self-Realization and Ascension for yourself, humanity and Mother Earth. 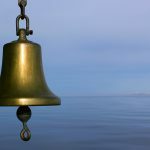 Together these gifts of Spirit form an Ascension Toolkit that will raise your vibration and empower you on your spiritual journey. Through Heart-to-Heart Channelings with Master Merlin and the Spiritual Hierarchy, Healing Sessions, Workshops, Initiations and Teachings, you can receive and experience energies and infusions of higher consciousness to align with your Higher Self. 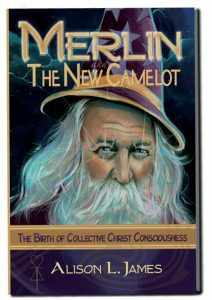 Through my Archive of written work available here, and my book, Merlin and The New Camelot: The Birth of Collective Christ Consciousness, you can continue to explore the wisdom of the Higher Realms. I also invite you to visit Egypt with me in January, 2020, for an extraordinary experience where, as Ascension Energy Anchors, we will discover more of who we are and why we have incarnated at this time. Sign up for my FREE newsletter below for news and monthly updates. I am here to be of service, so do reach out! It’s All About You. Schedule your own private channeling and healing session with Master Merlin. Merlin and I are One; I work closely with him, holding Merlinian energies, working with, inter alia, the Universal Merlinian Council of Light and other Ascended Beings within the Universe. His wisdom, loving presence, energies and kind guidance are a blessing. Be prepared with your questions and to receive an infusion of energies as well. “In 2013, my spiritual quest was enriched with the timeless book of MERLIN and THE NEW CAMELOT. 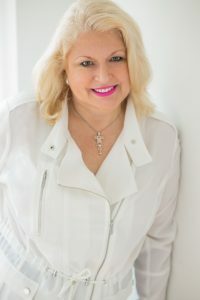 Embracing The Divine Plan for Humanity, this tapestry includes an extraordinary book, an enchanting CD and a hard-copy purchase heartfelt channel from gifted author Alison L. James. Unleashing the depths of legendary wisdom, this ocean of consciousness collection inspires my aspiration to self-mastery and reverence for Mother Earth. I am grateful for the treasures of the sacred mysteries, symbols, affirmations, meditations and the expansion keys to open my heart. It truly is a magical experience of truth and love that has renewed my faith in the future of our shared new world.” ~ With Gratitude, SDC, CA. To purchase your copy, visit amazon.com. To receive your copy of the accompanying music, guided meditation and narrated introduction, utilize the contact page. In the grand scheme of things, also lovingly referred to as the Divine Plan, civilizations and nations have risen and fallen as the continents of the planet have shifted in placement, size and formation over aeons of time. In man’s evolution, as he slowly became more densified in form and less aligned with the higher spiritual realms that he enjoyed in Motherland Mu and Lemuria, in Atlantis he was tempted into a greater materiality and densification by the egoic, shadow side of his nature. As the lands of Atlantis began to recede and sink, those masters and beings of light who had maintained the Universal Flames of Light in the Atlantean Temples and inspired the hearts of Initiates, made plans for the transfer and colonization of those souls who were prepared to begin anew in other lands around the globe. One such destination was the land of Egypt lying due south of the great river delta, formed in the shape of a 90 degree quadrant of a circle, that came to be known as the city of Alexandria, where the River Nile of the African continent flowed north and reached the Mediterranean Sea. The regions of both the Lower and Upper Nile, that underwent their own evolution and history, eventually joined into one great nation, Egypt (c. 3200-3100 BCE). The lion and the hippopotamus once roamed the banks of the River Nile as the annual flooding of its waters carried a rich silt that enabled flora and fauna and thus man himself to flourish. While ecologies and landscapes continue to ebb and flow around the world today under burgeoning climatic changes, Ancient Egypt still remains etched into our cellular memory as a place of great beauty, architecture and a seat of power. Of particular note in our quest for Ascension, Ascended Master Serapis Bey transferred the Flame of Ascension from Atlantis to Luxor (Thebes) in Egypt where the temples there are aligned with great latitudinal harmonics. Today, Luxor and many other sacred temples, pyramids and sites along the Nile still provide a series of portals and energies with which we may once more interact, heal and align with the higher realms as we prepare in soul, mind and body to achieve Ascension for ourselves and the planet. The longevity of Egypt from Paleolithic and Neolithic periods up to modern day, including its periods of great rulers (both warring and peaceful) during 31 dynasties, its Islamic, Turkish, Coptic periods, and periods of French and British control, is a testament to Egypt’s desirability continuing over time as a strategic, cultural and economic center. Monotheism evolved here with an ensuing global awareness that spread. Many souls on Earth, including the Ascended Masters, incarnated multiple times during Egypt’s history as great wisdom, learning, writing and spiritual evolution took place there. 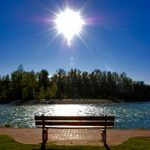 It is important to remember as we revisit such well-trodden sites, that while civilizations may have come and gone, energies persist and are still evolving in the higher realms, mixing and ascending within the Universe to a greater level of harmony. We assist this process on Earth through our own expansion and we derive benefits ourselves from visiting such historic sites. With the assistance of the Ascended Masters, we too can call expansive energies forth. Our presence and energies upon Mother Earth form a bridge for the grounding and growth of energies both above and below. In the geomagnetic field of the Earth, where magnetic currents flow north-south and east-west and down to the core of the Earth, anomalies occur at intersection points and electrical surges can increase within such sites, especially in dry areas like Giza. By placing various geometric-based platonic solid shapes over the globe has given rise to theories of grid formations and the interconnectivity of sites around the planet in accordance with the angles created. It appears that geometric grids generated by man-made monuments, hills and other natural features encircle the Earth with important intersection points. Stone megaliths enhance and contain magnetic electrical energies and also ground them. Longitudinal lines around the Earth, circumscribing the North and South poles, form ‘Great Circles’, the greatest encompassing Giza, Nazca, Machu Picchu, Ur, Angkor Wat, Easter Island as well as other world sites. The Great Pyramid is perfectly aligned to the cardinal points of the compass and is sited at 30 degrees above the equator. It is believed the Ancient Egyptians knew the size of the Earth as confirmed by scientific measurement today. The height and perimeter of the Great Pyramid multiplied by 43,200 yields figures close to the polar radius and equatorial circumference of the Earth. The base length of the Great Pyramid is precisely 1/8th of a minute of a degree of the Earth’s polar circumference. It is recognized that if Giza were considered to be sitting on the prime meridian of the Earth at 0 degrees longitude (as opposed to the location over water at Greenwich, London, England), other locations such as Buddhist site Angkor Wat are significantly sited around the globe. The Mayan site of Copan in Honduras and Chichen Itza in Mexico fall within half a degree of 120 degrees, i.e. one third around the world from Giza. Lesser known is that Canterbury Cathedral in southern England is located 30 degrees west of Giza. Nazca and Angkor Wat together with Giza lie upon and form a golden mean spiral. Natural phenomena such as waterfalls, volcanoes and mountains are significant also, vis-a-vis Victoria Falls along the Nile, lies at a 90 degree angle with Giza. In addition to the geodesic alignments described above, the consciousness of humanity is being raised by the infusion the loving energies of the Divine Feminine. This is tipping the scale of re-harmonization and re-centering in humanity worldwide. The great mother goddesses of Egypt, Hathor, Isis and Sekhmet together with Lord Mary of Buddha in the West, and a multiplicity of others, are bringing about a rebalancing and alignment within humanity through Love. From the higher realms such energies are centered at the Temple of Isis in Philae and the Hathor Temple in Dendera and at other temples that we shall visit along the Nile. Beyond time, come step with us where Masters, Initiates and spiritual seekers have walked in Egypt, aligning with the constellations and planets, in order to remember your origins and to fulfill your mission upon Earth. If you feel it is time for you to embrace Egypt once more in your journey of Self, to realize your dream, come join us January 10-21, 2020, as we learn to transcend space and time in the Egyptian temples of Light. It is my pleasure to be of service to you and to share all of the wisdom and spiritual teachings I have been exposed to in my life. Reach out to me, contact me here. 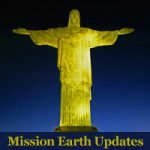 Sign up for Alison’s free monthly Newsletter, MISSION EARTH UPDATES.